Overwatch’s new Busan map, set in South Korea, has been unlocked in Competitive Play. The map initially made its debut on Overwatch’s live server on Sept. 11, but has remained disabled in Competitive Play since then. The lag time before its entrance into the competitive ladder theoretically gave players a bit of time to prepare for the map, playing it in other Overwatch modes like the Arcade and Quick Play. There are three main areas of the map to practice: the sanctuary, D.Va’s MEKA base, and a downtown space. Each area has its own particular play style and intricacies to prepare for. Those mechanics are a set of moving walls that switch from an up-or-down position throughout the map’s duration. It’s a new feature we haven’t seen in Overwatch before, and it’s going to take some getting used to. Overwatch’s Busan map was revealed on Aug. 22 during an Overwatch fan event held in Seoul, South Korea. 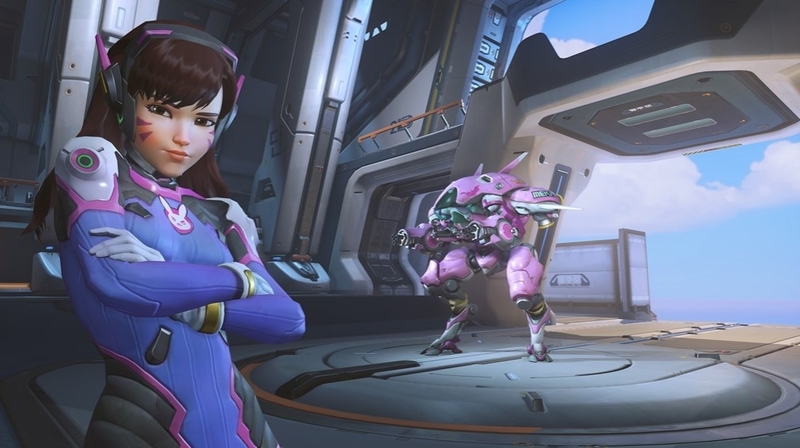 The event had a strong focus on South Korean hero D.Va. Alongside the map, developer Blizzard Entertainment showcased a D.Va cinematic called “Shooting Star.” During the event, Blizzard also teased a new skin for D.Va, Nano-Cola D.Va, and showed off a new Figma action figure of the fan-favorite hero.